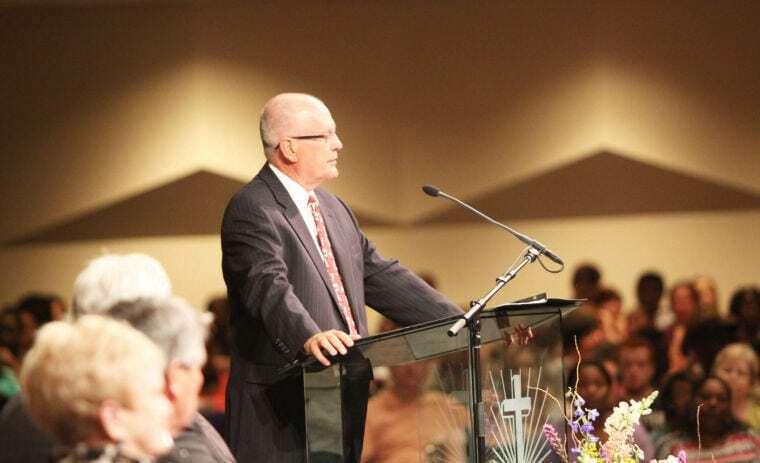 Former Crandall ISD Superintendent Dr. Larry Watson spoke to this year's Crandall graduates at last week's graduation ceremony. Watson, who retired last year, was with the district through the graduates years with Crandall ISD. DESOTO—On Monday, March 26, 2018, at the DeSoto Independent School District’s regular called monthly board meeting, the DeSoto ISD Board of Trustees voted unanimously to approve Dr. Larry Watson as the district’s acting superintendent. 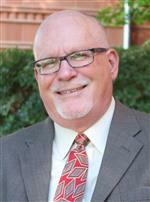 Dr. Watson most recently served as an interim superintendent at Cedar Hill Independent School District. Prior to his appointment at Cedar Hill ISD, Dr. Watson served as Superintendent at Crandall Independent School District where he led the district’s fund balance development, oversaw a $50M bond to support the opening of a new school among other facilities improvement projects, and led initiatives to support enrollment growth and development. Dr. Watson’s educational service spans more than 40 years, 26 of which were spent in positions of leadership. Dr. Watson will begin his role as the DeSoto ISD acting superintendent on Monday, April 2. In late February, Trustees unanimously voted to place former Superintendent Dr. David Harris on administrative leave. “Superintendent Harris is currently on administrative leave amid an investigation into concerns regarding the duties and performance of the superintendent,” according to Spokeswoman Tiffanie Blackmon-Jones. In apparent disbelief, Harris said, “It’s a shock,” to reporters following Monday night’s board meeting. According to reports it took trustees four hours to come back with the decision. Specifics are still unavailable.While DeSoto ISD officials have been criticized for remaining tight lipped concerning the termination of Harris, it appears they are simply following the letter of the law. According to Harris’ employment contract, unless the Superintendent expressly requests in writing, his evaluation takes place in executive session. Therefore making the details subject confidential and enforceable by law. Since then he Board will enlist Attorney Nan P. Hundere to conduct the investigation while Harris is on paid administrative leave. Hundere comes with 30 years of experience in education and conflict resolution. In the past she represented such entities as the Texas Education Agency and Texas Association of Public Schools Property Fund. Assistant Superintendent of Finance and Human Resources Bobby LaBorde has been temporarily assigned administrative duties until an interim is appointed. Monday, March 26, 2018, at the DeSoto Independent School District’s regular called monthly board meeting, the DeSoto ISD Board of Trustees voted to approve Dr. Darryl O. Cobb as the district’s new Executive Director of Human Resources. Dr. Cobb most recently served as a human resources consultant where he provided guidance regarding the administration of human resources compliance, policies and procedures; preparing and maintaining reports related to HR projects; and talent identification, management and development among other areas related to human capital management. Prior to his work as a consultant, Dr. Cobb served as an assistant superintendent for human resources in the School District of University City and an associate superintendent for curriculum and instruction. Earlier in his career, Dr. Cobb served as a principal in Hickman Mills C-1 School District and assistant principal in Kansas City Missouri Public School District. In addition to the various roles in which Dr. Cobb has served in the K12 educational setting, he also had appointments as an adjunct faculty member at the University of Missouri-Kansas City and Missouri Western State College. “DeSoto ISD looks forward to the innovation Dr. Cobb will bring to the human resources efforts here in DeSoto. The Board holds the vision of recruiting, hiring and retaining top talent,” said DeSoto ISD Board President Carl Sherman Jr. “Having a top-notch, quality educator in every class is at the top of our list of priorities. We are confident in Dr. Cobb’s ability to lead the district in realizing that vision on behalf of the students and families we serve.